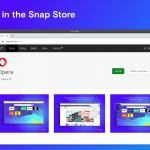 We released another update to Opera developer 25. We’ve been busy, so this release comes with a bunch of fixes. A complete list of changes can be found in the changelog. Opera can now open PDF documents without the need to install and run any third-party plug-ins. Now, clicking links on pages that deviously lead to PDF documents won’t disrupt your workflow, as your focus will remain in the same window. 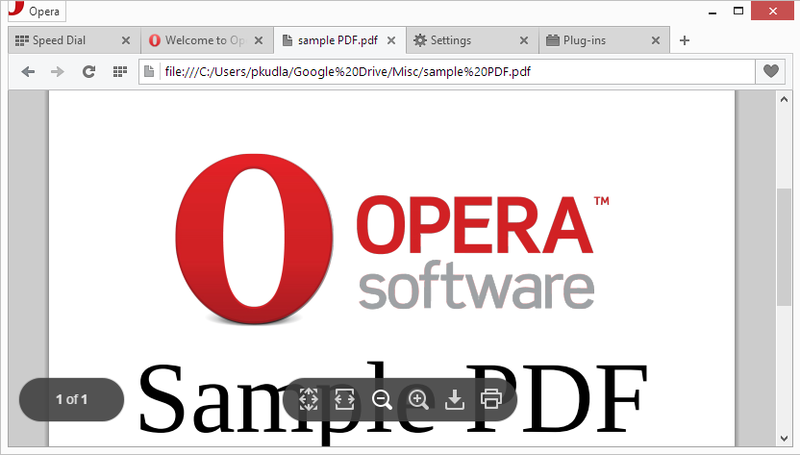 Opera’s PDF solution is based on Chromium’s PDFium. If you prefer to stay with your current viewer, that’s no problem at all. 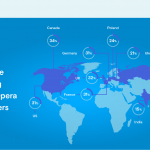 Opera’s solution will be used only if there is no other plug-in installed. Our previous network installer for Windows had a very limited UI. Actually, there was only a progress bar. Before, Opera only interacted with the user after the whole package was downloaded, just before installation. It was quite disruptive. We decided to redesign and improve. We made major interaction design changes. The download and installation is now combined into a single seamless process.. In this release, a dialog appears as soon as the application is launched. 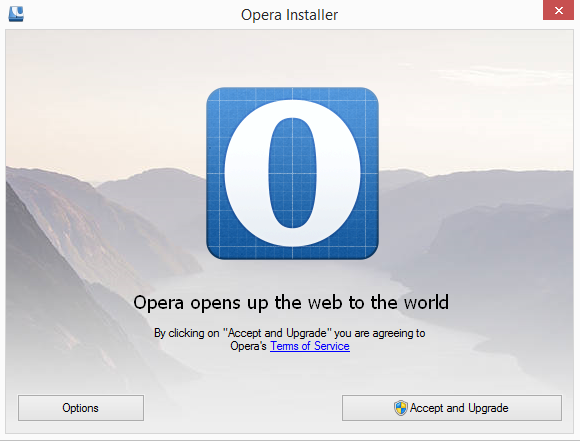 If the user decides to install Opera, the rest of process continues automatically and the installation finishes with Opera opening its welcome page. We think the new UI and interaction is very nice. Switching tabs focuses the address field on both Windows and Linux. We’ll be fixing this up very soon. In the meantime, let us know what you think either in the comments below or in the browser forums.